Just Make It Happen. Its 2010. It has been a phenomenal and eventful year and yet its time to bid farewell to 2009 and Welcome 2010. I wish you all a Wonderful and Eventful New Year 2010. I hope some of your dearest dreams will come true in 2010, as I believe, you will Make It Happen. Do whatever you do the best. We are all so lucky to have a dream. And I believe, Its time. Let us Just Make It Happen. Its 2010. Healthcare Plan : If Majority is what all matters in Democracy .. If majority is what all matters in democracy (getting 60 votes gives approval to the healthcare bill against opposition by 39) what about 51% of people opposing the bill (while only 38.4% favor it)? In a broader sense, what does this mean to the concept of democracy? The elected officials that are supposed to represent the people are going against the wishes of the same people that elected them in the first place. I took a small political profiling test at okcupid and found that I am a centrist with tendency to be more liberal when it comes to social issues and moderate in economic aspects. While I am a bit surprised at the result, I love the visualization of the profile. Here are screenshots and text. How to say you are a freelance software developer ?? Found this on one of the LinkedIn discussion forums. Rather very creative(?) way of saying you (may be with a team) do freelance software development for anybody. Perfios : Mint.com For Indian Consumers ? Stumbled upon this website that appears to be a Mint.com for Indian consumers. Collect data from all your Banks, Credit cards, investments etc and provide analysis, alerts and reports at one place. Perfios is for anyone who wishes to solve the problem of managing wealth distributed among various asset classes and among various institutions. If you have bank accounts, credit cards, Mutual Funds, Equity etc with multiple institutions, how often have you felt that - ‘what if all of this could be accessed at one place?’ Perfios addresses exactly this aspect (and more!) and provides access across asset classes on one platform and in the process takes care of your other worries too! A picture is really worth 1000 words. Isn’t it? If you don’t agree, let us setup a meeting to discuss. Google unveiled a labs feature called ‘Living Stories’ that organizes news related to a topic in a format that best fits the online reader and present all relevant information at one place. I love this new format. Online news should have been this way in the first place, but I am glad it is headed in this direction. Watch this YouTube video for a short demo of the new feature from Google Labs. Its that time of the year again, when most of us will be looking forward to wishing yet another wonderful and eventful year to ourselves as well as friends and family. This time around, we make decisions faster, Make new rules, set New goals and make new friends. With unquestioned optimism and hope that next year will be ‘the’ year. Here are more than seventy big thinkers, each sharing an idea for you to think about as we head into the new year. From bestselling author Elizabeth Gilbert to brilliant tech thinker Kevin Kelly, from publisher Tim O'Reilly to radio host Dave Ramsey, there are some important people riffing about important ideas here. The ebook includes Tom Peters, Jackie Huba and Jason Fried, along with Gina Trapani, Bill Taylor and Alan Webber. Here's the deal: it's free. Download it here. What’s your Idea for 2010? What’s The Big Deal About Bank of America’s “Keep The Change” Promotion ? If you have watched this wonderful talk by Rory Sutherland “TED Talk : Rory Sutherland: Life lessons from an ad man”, you must have seen this big Red button, showed while explaining that “interface” determines the behavior. Paraphrasing a bit, “if there is a large red button on a wall in your home and every time you press this button it will save you $50, then you will save a lot. Because interface fundamentally determines our behavior. Marketing has done a very very good job of creating opportunities for impulse buying but never for impulse saving”. And of course, as he admits, that is against consumerism and act against the very ambitions of companies that create these advertisements, so probably will never build such an interface. So, when a company says they built an interface that makes saving money a lot easier, you better bring your instincts and not believe it at once. When I saw the promotional advertisement “Keep the change” by Bank Of America that will make saving a lot easier, I did not believe it. It almost looked like that “simple red button” interface that could help you save more. Well, its not. More over, this is a perfect example of marketing mentioned in that presentation. I went on to its website and read here the details of “Keep the change”. Basically, when you pay with your charge card, BoA will round up to the nearest dollar and put those (your own) pennies in to a savings account. What it means? BoA wants you to spend dollars with their charge card more so that you can save ‘your own pennies’ more. Of course, first 3 months they will match those pennies 100% and 5% afterwards. And the tag line, “keep the change” try to infer that you may loose the change if you don’t enroll in this program. Isn’t it true that you always keep your change? And here is one thing to remember. If those pennies add up to a significant amount, if you think or BoA thinks, then your checking account is also depleted faster now. Here is the magic part. Now, if you accidentally run over your balance even by a few pennies, you may attract a hefty overdraft fee, which wouldn’t have happened if you had left those pennies in your checking account. A better way to save money is if Bank of America offer to move some pennies automatically and for free from Savings account to the Charge card when it runs out so that customers don’t have to pay about $35 or more in overdraft fee to cover say 35 cents over the balance. If they can move money from Checking to Savings for free, why can’t they offer to move money from Savings to Checking when needed for free. MIT vs. IITs : Is There A Comparison? If you ever wonder about this or believe in one way or the other, it may be worth looking at this wiki page : List of Nobel Laureates by University Affiliation. Almost every other day I read or hear somebody comparing India’s IITs with MIT. As per my understanding, its ridiculous. As much as I love India, I hate this fake image. There is no comparison, other than IITs as the Best You get in India to MIT being one of the Best in the world. I have no doubt, they are the Best in India, but they are not comparable on a world scale. Every attribute I think worth of comparing two universities, IITs are no where closer to most American universities, leave alone MIT. In fact, they are even behind some of Chinese universities in most attributes. Disclaimer: I did not go to any of those IITs or any American or Chinese universities. I studied in an NIT (previously called RECs) instead. The essence of problem solving is in fact not solving a problem, but detecting one before it becomes one. And the way, problems are solved in a corporate world is anything but a mystery. For illustration, I used Software Developers. You are free to use your own imagination to see any role in a corporate. It really fits the story. Any possible similarities to my current or previous work place are not intentional but mere coincidences. It is impossible not to have these coincidences in any corporate and it is totally beyond my control. There are exceptions and they are really exceptions. If you are a Manager, you may get offended by getting closer to reality. There are 1000s of great software developers that can solve a problem once you define what is your problem. But, unfortunately, many of them are good at just that. They are really great at doing what they are told to do. And, of course, Managers love them, as they rarely question, anything. But there are others of them, who can spot a problem in the system, while they are still doing what they are assigned just like any other. And most cases, they pursue the problem. Investigate further, analyze further and come up with a proposal or solution to fix. Its no secret, or I must admit it is totally ‘typical’ in a corporate culture, how that ‘messenger of problem‘ will be received and treated. The stalwarts (read as old timers) never like to accept that there is a problem in the product they have been working for so long. In many cases its their baby for all practical purposes. And some complain that they never had time to figure out earlier, otherwise they are equally smart to identify it. And some say, they always know about this issue, but never had a chance to look at it deeper. Almost everybody thinks this guy has “an agenda” for bringing it up. If you are dealing with people that own the product (startups or smaller firms), it is a totally different story. They love those people who think beyond. But in corporate, Managers love only those that love them in the first place. Anyways, end of the day, in most cases, the whole corporate will reiterate the adage “if ain’t broken, don’t bother to fix it”, as there will always be a resource crunch, budget shortage and there are other important things to do. And few minutes later, the engineer gets an additional assignment as Management believes this engineer has more time at disposal. And give it a few months, some body in the top line changes and do a comparative analysis with so-and-so product familiar with and comes up fresh ideas or a customer raises an issue; whole team will be buzzing on working on a top priority, critical and customer sensitive project, that gets double the resources, budget and timelines. Guess, who gets to work on the issue? This time, though, the first section of Engineers will be given the responsibility to fix the issue, as Managers are always convinced that they are the best to solve any problem. Obviously, these guys didn’t spot it in the first place or will never have the passion to ‘own’ that problem, so will work on the issue, fix the problem as they see it and as they always have been fixing, to the satisfaction of the Management. Management is happy and gives them a promotion and these are all set to take up next top priority customer sensitive project. And you all know the rest of the story. You may be the one making this history. Few days back I read an article breaking the news that lots of Indians are going back to India, causing what is called as ‘reverse brain drain’. Its not the first time I heard this, and certainly it won’t be the last time. Every time going gets tougher in US, I hear this story. This is not a surprise to hear the story in 2009, the worst of times we have seen in recent years. Whatever reason many attribute to their intention to return to India, it won’t be any easier just to get back. So many things that are taken for granted in US are a rarity or a luxury in India like electricity and roads. And another significant aspect pointed (in an NY Times Article ) by Raju Narisetty, “Some very simple practices that you often take for granted, such as being ethical in day to day situations, or believing in the rule of law in everyday behavior, are surprisingly absent in many situations”. Some get upset. Some get used to it, for its not an alien thing to anybody. But some hate it so much that they are returning to US, causing a reverse-reverse-brain drain or just brain drain. Stumbled upon this great talk on ‘perception’ while browsing for a TED India talk. I simply loved it. The most interesting part of the talk is an example in the talk (one of the best and simplest) that illustrate how Marketers play with perception to sell products. Each one of us understand ‘perception’ to an extent. But this is quite unbelievable. Now when you see an ad (any ad for that matter) next time, I bet, your ‘perception’ will be quite ……… not the same as ever. Global Warming : Who is Right? What is the Truth? The debate at Copenhagen just begun. Hopefully, we will have some clarity and Truth about the whole gamut of Global Warming and whether we the humans are guilty of it. So far, Scientists on both sides of the argument defend themselves. But one must note that both sides are making a political statement as Scientific data does not conclude either way. These scientists tend to take a position and go back to data to find out data sets that prove their points. Having said that, anybody can say anything about Climate Change, and it is most likely that he/she is right and wrong at the same time, even based on the scientific data per se. Hope we get some clarity and all scientific community come to an agreement. May be, I should have said, I wish. The Finest Excuse For Indian Chaos : We Are Different ! This is one of the most hilarious and self-serving excuses I have ever heard for Indians being chaotic : we are different ! In a TED Talk, Devdutt Pattanaik says “two fundamentally different sets of beliefs about God, death and heaven” separate Indians from the west and explain the differences in contrasting behaviors. West being structured, orderly and Indians being unstructured and chaotic, have something to do with their religious beliefs. I definitely agree that this is one of the most creative expressions, but I think a lousy excuse for being “well, it depends” and “I am like this because of my religious beliefs”. The key reason for chaos, I believe, lies in the rule of law and the kind of respect people have for any rule of law. Spare all those stories of Ethics and all that. People are taught in every way possible, the only way to survive and succeed is by NOT following any kind of rule of law. Many even say that it is impossible to find a successful Indian that is not corrupt. Imagine how Indians treat if some Indian refuse to pay bribe. They laugh at that person, ridicule in every possible way and literally socially outcast that person. And think about how they would treat a person that defy those rules and get things done by all but honest way. A hero of sorts. If they were to believe truly in any religion, Indians won’t be like what they are today. The typical Indian ideology doesn’t belong to any religion that I know of. Journey Of Microsoft ASP.NET Developers : Cowboys To Craftsmen? Quite an interesting way to put the Journey of ASP.NET (developers) from ASP.NET Page based design to MVC based applications. Hope I am not taking it out of context. Its not explicit, but it is written all over the wall. Nevertheless, towers of abstraction and magic by Visual Studio often make developers ignore the inner workings of the framework. Its not a surprise to find an ASP.NET developer that hardly knows anything about HTML beyond the acronym and yet can still develop ASP.NET pages that really work. There are two ways to be a developer. You can be a cowboy or you can be a craftsman. A cowboy jumps right in and starts coding. A cowboy can build a software application quickly. The problem with being a cowboy is that software must be maintained over time. A craftsman is patient. A craftsman builds software carefully by hand. A craftsman is careful to build unit tests that cover all the code in an application. It takes longer for a craftsman to create an application. However, after the application is created, it is easier to fix bugs in the application and add new features to the application. Most software developers start their programming careers as cowboys. At some point, however, you must hang up your saddle and start building software that will stand the test of time. I guess even ASP.NET is going through a journey of its own. by moving away from it’s Page based model and embracing MVC that the rest of the world has been using for years. Google is really obsessed with "Speed". Google's browser Chrome is already the fastest browser in the world (2X the nearest competitor) and here is some news that will just blow your mind. Your web could get 2X faster. Wow!!!! Today we'd like to share with the web community information about SPDY, pronounced "SPeeDY", an early-stage research project that is part of our effort to make the web faster. SPDY is at its core an application-layer protocol for transporting content over the web. It is designed specifically for minimizing latency through features such as multiplexed streams, request prioritization and HTTP header compression. So far we have only tested SPDY in lab conditions. The initial results are very encouraging: when we download the top 25 websites over simulated home network connections, we see a significant improvement in performance - pages loaded up to 55% faster. The problem with "everyone" is that in order to reach everyone or teach everyone or sell to everyone, you need to so water down what you've got you end up with almost nothing. Everyone doesn't go to the chiropractor, everyone doesn't give to charity, everyone has never been to Starbucks. Everyone, in fact, lives a decade behind the times and needs hundreds of impressions and lots of direct experience before they realize something is going on. You don't want everyone. You want the right someone. Someone who cares about what you do. Someone who will make a contribution that matters. Someone who will spread the word. As soon as you start focusing on finding the right someone, things get better, fast. That's because you can ignore everyone and settle in and focus on the people you actually want. via Seth's Blog: Everyone is clueless. How To Choose A Database For Your Next Application ? Want to know what options are available and how to choose one for your own application, read this wonderful article by James Hamilton. Though this article does not include all possible options (particularly those on the cloud), but its a nice introduction to classify databases based on what you need. Relational databases have become so ubiquitous that the term “database” is often treated as synonymous with relational databases like Oracle, SQL Server, MySQL, or DB2. However, the term preceded the invention and implementation of the relational model and non-relational data stores remain important today. Relational databases are incredibly rich and able to support a very broad class of applications but with incredible breadth comes significant complexity. Many applications don’t need the rich programming model of relational systems and some applications are better serviced by lighter-weight, easier-to-administer, and easier-to-scale solutions. Both relational and non-relational structured storage systems are important and no single solution is appropriate for all applications. Good to know. But before you start researching for a perfect Database for your App ..
Keep this great suggestion from 37signals in mind. I am big fan of “Getting Real”. The team behind “Getting Real” @ 37Signals suggest that you don’t worry too much about Scalability aspects early in the design of your application, as you will have lots of time later on to figure out. In the beginning, make building a solid core product your priority instead of obsessing over scalability and server farms.Create a great app and then worry about what to do once it's wildly successful. Otherwise you may waste energy, time, and money fixating on something that never even happens. Believe it or not, the bigger problem isn't scaling, it's getting to the point where you have to scale. Without the first problem you won't have the second. One of the best features of Wordpress is the ability to upgrade to a newer version by just clicking on a link from the dashboard. So, whenever I see a new version available, I just go ahead and upgrade to the latest version. Just a couple of days of back I upgraded to 2.8.5. Everything went smooth, no issues what so ever. Later in the day, when I published a post from Windows Live Writer, I suddenly found that the post actually lost all HTML formatting. Didn’t know what happened. I quickly searched for any 2.8.5 problems with XMLRPC. But did not see anything other than some comments that XMLRPC has been updated to work better. I did a full reinstall. But didn’t fix the problem. I did a full installation of latest Wordpress in a separate folder, but that also had this problem. I checked an old blog I hadn’t upgraded in a while, but I found that also had this issue. I was quite baffled. Before I did the upgrade everything was working fine. I published a post on 30th of October 2009 from WLW. No issues. And now I find issues not only in this upgraded blog, but all blogs on my host. Not sure how did that happen. Anyways, today while searching on the internet, I found a solution. Thanks a ton to Joseph Scott. It appears it has something to do with libxml version on my host. Didn’t understand how my wordpress installation worked all the while until 2.8.5 with the same libxml version but failed after the upgrade. Anyway, I installed the plugin and still didn’t work. Later I found on the plugin developer’s blog a comment by another user on how to check for libxml version on the host and update the plugin code accordingly to use it. I just checked it on my host SiteGroud and found that it got 2.6.3 and I updated the plugin file to include this version as well. Now all works fine. "FREE : The Future Of A Radical Price" Audio Book Is Available For FREE! The Audio version of "FREE : The Future Of A Radical Price" by Chris Anderson is available for download from Audible or through iTunes for, what else, absolutely FREE. Just as most of us must rely on relative pitch to discriminate amongst various tones, so too must the vast majority of consumers rely on relative price cues in order to determine what they’re willing to pay. What this means, according to behavioral economist Dan Ariely, is that the price of everything is “up in the air.” That’s where menu engineering comes in. Aren't startups pay to present at DEMO? Or any similar conferences? What's the fuss is all about? Over the weekend, the blogosphere has seen a small but profound eruption of wrath over angel investor groups that charge startups to pitch them. Jason Calacanis' blog post on the topic, wherein he went as far as calling out these groups by name and posting each group's pricetag, inspired "me too" posts from Fred Wilson and Robert Scoble. All parties seem to be in agreement that the practice is despicable and should be stopped. But like every hustle that preys on the gullible or less talented, pay-to-play pitching models will be perpetuated until made illegal, and no amount of blog posts will shame these investors into changing their behavior. So, should these scams be made illegal? I get little skeptical whenever a web company buys advertisements so heavily in print media. Why it took so long time for Yahoo to realize that internet is around You! India’s largest English-language newspaper, the Times of India, has an interesting print edition front page today – a huge yellow advertisement for Yahoo’s It’s You campaign first announced last month. You can view the print version here. This is ridiculous. May be we have to consider the really long term investor is shorting on human capital, not to think more than 24 hours at a time. 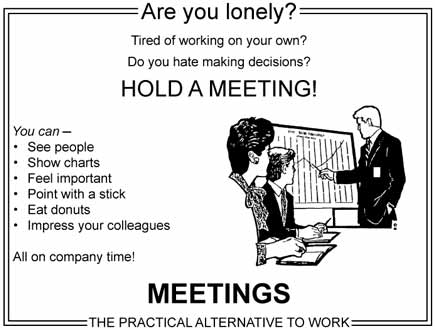 I recently heard about Warren Buffet’s approach to scheduling meetings. I can’t confirm this is true (I’ve never met him), but I hear from a reputable source that he usually doesn’t set up meetings more than a day in advance. If someone wants to see him, they are told to call and set up the meeting when they can see him tomorrow. So if you want to meet with him next Friday, you call on Thursday and say “Can I see Mr. Buffet tomorrow?” I love the simplicity of the rule: I can see you today if you asked me yesterday, but I can’t fill up my schedule any further in advance. This way he can determine how he wants to spend his time within the context of the next 24 hours instead of booking things weeks or months in the future. Now his schedule is relevant instead of prescient. Skilled Workforce Or Just Cost Savings : What is driving H1B Visas? Is it really true? That in the grand scheme of things around H1B visas, the immigrants and Americans alike are just being played by American companies in search of cost savings? As I think back on the Indian-Americans I met that night, I can't help but contrast the kinds of things they said--and the unemotional way they said them--to many of the angry and even ugly comments we got on our High-Tech Sweatshops story after it was published online. It was disturbing to see workers from different nationalities verbally tearing at one another. The situation is reminiscent of earlier eras in American history, when employers played immigrants of different ethnicities against each other to defeat labor unions and keep wages low. Like them, today’s guest workers and American programmers are pawns in somebody else’s game. Recently Vonage started offering Unlimited Calls to India under its $24.99/m existing plan. Good thing is that the plan includes both landlines and cell phones all over India. If you are already a Vonage subscriber, make sure you have Vonage World plan to get this great deal. Not sure whether it is automatically done. For me, I did convert to this plan explicitly. If you are not a Vonage subscriber already, think about it. For $24.99 you get unlimited calling to India (and about 60 countries) and have a landline number to make unlimited calls within US. Vonage initially offered 2 months FREE when you sign up for this service. But now it is back to its original offer of ONE month FREE offer. Get ONE MONTH FREE if you signup by clicking on the image below. If you pay whole one year upfront, you may get an additional 20% off. Click here to get the ONE MONTH FREE offer. Its funny how Experts are made in America. Rule No.1 : You can become an Expert on anything just by claiming you are already one. So much for dreaming big and believing in yourself. And once you are an Expert (or rather once you claim) you will be treated like an Expert !! BTW, an expert’s observation on Cloud Computing. It is really funny. Please read. Microsoft's Azure cloud is a place you go to in order to build your applications. In the process, you are very likely to use Visual Studio, the .Net Framework, SQL Server in the form of Azure SQL Services, and Microsoft SharePoint, then run the resulting cloud application in Azure itself. So is Azure just a super sales site for Microsoft products? No, no more so than Google's AppEngine is a sales site for PHP tools, even though you will write your application in PHP if you want to take advantage of the AppEngine. If you are wondering is cloud –> marketing jargon to promote tools that build them or when did Google App Engine started supporting PHP, you hit the nail right on the head. I am not saying they are not experts on the cloud. These days, not a single day goes by without talking, hearing or reading something about Cloud Computing. It appears, the whole cloud (I mean the world; don’t blame me for overusing the word ‘cloud’, I just want to make a point) is totally excited about ‘Cloud’ suddenly. In a way, Cloud Computing is the new web2.0, in terms of hype, buzz and activity all around. Every business has something to offer ‘on cloud’. Every consultant is busy selling strategies to cash in on the cloud. And every analyst is preparing a report on the cloud. Every developer is trying to equip to engineer applications on the cloud. What is really Cloud computing is all about? Why not look up the definition of Cloud Computing by going to the Encyclopedia on the cloud (?? ), Wikipedia. Though Cloud Computing could be everything for everybody (just like Web2.0), most stakeholders would agree to confine Cloud Computing in three forms. Refers to Software Applications offered over the internet as a service. SalesForce.com is an excellent example and one of the most successful SaaS offerings. BaseCamp for Project Management, Google Apps are few other successful and well known SaaS offerings. Refers to Servers, Storage and Networks offered as a service over the internet. Most Internet hosting providers fall in to this space. Amazon ECS, Rackspace, AT&T, Akamai are very good examples. They offer servers, databases, storage area networks, networking gear, content delivery networks as a service. These providers offer Infrastructure as a Service with a limitation or leverage (depends on what you are looking for) that all applications must be built and run on top of their often proprietary platforms or technology stacks. PaaS inherently include IaaS. Google App Engine, Microsoft Azure, SalesForce Force.com are fine examples for this service. SaaS and IaaS have been offered in the market for a while. Though there are lots of advances in the technicalities of managing them and lot more new players in the market, these services are not entirely NEW. What is new in Cloud Computing is the third service, Platform-As-A-Service (PaaS). Not only Infrastructure to run your Business applications but a full platform to develop those applications. It is quite unlikely that these PaaS offerings (at least initially) will not provide a smoother migration for Enterprises to adopt Cloud Computing as this means re-developing most of their business applications. For most enterprises, the only option that make sense at this point is IaaS. Instead of running their own data centers, applications can be moved to a public Cloud or a private cloud or managed cloud with little to no impacts. Cost of migrating to a Cloud will be quite insignificant and offer the best level of cost savings, while not forcing a vendor lock-in as applications run on generic platforms. This is the best option. Or Enterprises can migrate to SaaS offerings, if there are comparable applications are available. For instance, instead of running your own CRM solution on premises, can migrate to SalesForce.com. But it is a big question for how much generic application like SalesForce.com can offer unique capabilities for each organization, a primary reason why Enterprises developed their own software in the first place. Vendor + Application lock-in is implicit. All Employees and Customers need to be retrained in new sets of applications. Extensive customization is required. The latest entry in to Cloud Computing, the PaaS is the most Unlikely path of migration of any Enterprise application to the cloud, as this needs re-architecture of their applications and Migration of application software as well along with data migration. And this would be quite expensive and time consuming for any non-trivial, uncommon business application. Vendor + Platform lock-in is implicit. Need to retrain Software Development groups and it could be quite extensive as the Platform could be significantly different from generic platform most software developers are comfortable with. That’s my 2 cents on the Cloud. You can read a little more on the Wikipedia. Or anywhere on the Cloud (:-)). Dow Jones Index crosses the symbolic 10000 figure. U.S. stocks rallied, sending the Dow Jones Industrial Average above 10,000 for the first time in a year, on better-than-estimated earnings at JPMorgan Chase & Co. andIntel Corp.
Bank of America Corp., American Express Co. and JPMorgan more than doubled since the Dow slid to a 12-year low on March 9 as global financial firms began recovering from $1.6 trillion in writedowns and credit losses. International Business Machines Corp. and Hewlett-Packard Co. jumped at least 54 percent since March 9 on signs the nation was recovering from the worst recession in seven decades. Some 7,500 international tax dodgers have applied for an amnesty program that promises no jail time and reduced penalties for tax cheats who come forward, the Internal Revenue Service announced Wednesday. The program is part of a larger effort by the Obama administration to crack down on Americans who evade U.S. taxes by hiding assets in overseas accounts. In August, the U.S. and Switzerland resolved a court case in which Swiss banking giant UBS AG agreed to turn over details on 4,450 accounts suspected of holding undeclared assets from American customers. Grady Booch : Why Engineering? Software is invisible to most of the world. Although individuals, organizations, and nations rely on a multitude of software-intensive systems every day, most software lives in the interstitial spaces of society, hidden from view except insofar as it does something tangible or useful. Despite its transparency, as Bjarne Stroustrup has observed, “our civilization runs on software.” It is therefore a tremendous privilege as well as a deep responsibility to be a software developer. It is a privilege because what we do collectively as an industry has changed and will continue to change the world. It is a responsibility because the world in turn relies on the products of our labor in so many ways. In the context of that labor, software is perhaps the ultimate building material: it springs from pure thought and is intrinsically malleable, yet it can be made manifest in our hardware systems, limited only by our vision (and certain immutable laws of physics and software). As software professionals, we seek to develop and deploy useful systems of quality in a manner that reduces the distance from vision to execution. That the fruits of our labor are transparent to the world is as it should be: users want results and value, not more technology. For this reason, the primary challenge of every software development team is to engineer the illusion of simplicity in the face of essential complexity. The following Video by Grady Booch & co discusses the above quote while explaining the essence of software development in the context of Engineering. Isn’t it fair to say the characteristic of profound understanding is the expression of simplicity and elegance. Well, Grady Booch exemplifies that when it comes to Software development. Many continue to criticize awarding Nobel Peace prize to Barack Obama. But here is an Indian sculptor celebrating the award in his own style, making a sand sculpture of Obama with the Nobel medal. Outstanding. Mint.com is an idea about 3 years back. Now its a 170M business (with projections running in Billions of dollars in next few years) that helps millions of people save money and organize their finances. There is no doubt, it would be every aspiring entrepreneur’s dream to convert their idea into a multi million dollar business. If you are one of those, this 22 minute talk by Aaron Patzer, CEO of Mint.com is a must watch. There are some great tips on mechanics but also quite an invaluable advice on the most important aspect of any business, managing finances. Towards the end of the presentation, Aaron talks about what building Mint.com really meant to him (along with tons of money that came along) that can not be taken away even if Mint.com had failed. And why building Mint.com is the source of all wealth in the world to him and his team. Watch for yourself. I wrote some time back in February Shifting Away From Tables To Entity Models discussing about fast adoption of Entity models for highly scalable systems moving away from RDBMS modeling and RDBMS databases. DataStore (based on Google’s Big Table) in Google App Engine is an excellent contrast between these two models. RDBMS relational data management systems, simply put, most Database systems allow us to create data models of businesses in terms of rows and columns in a table. Tables can be ‘related’ to indicate dependencies of data between tables. RDBMS was on the best things that ever happened to software abstractions. Every business domain has been modeled to be a set of tables and relations between them. However, recently another paradigm is taking shape (at least, I only noticed it in the last year), called as Domain Driven Development, DDD for short, that emphasizes the importance of modeling a business in the domain of the business itself rather than dictated by abstractions tied to tables. DDD clout calls them “Entities” (not Tables). In certain ways, I read this shift from RDBMS to Entity model as “shift from horizontal (table) abstractions to hierarchical (entity) abstractions”. I found some similar discussion on ReadWrite Enterprise Is the Relational Database Doomed? discussing much more comprehensively about the fallout of RDBMS towards Cloud based (Entity Model) databases. As Google explained the reason of ‘scalability’ that led them to design Big Table, the author of this article also believe scalability is prime reason that may sway us to move away from RDBMS. Relational databases scale well, but usually only when that scaling happens on a single server node. When the capacity of that single node is reached, you need to scale out and distribute that load across multiple server nodes. This is when the complexity of relational databases starts to rub against their potential to scale. Try scaling to hundreds or thousands of nodes, rather than a few, and the complexities become overwhelming, and the characteristics that make RDBMS so appealing drastically reduce their viability as platforms for large distributed systems. Cloud databases like Google App Engine force a different modeling of your databases, for scalability. So I guess, best way to learn is to develop an app on Google App Engine. Venkatraman RamaKrishnan, of Indian origin has been awarded Nobel Prize in Chemistry along with two other researchers. Though he is no longer a citizen of India, most Indians and media alike took little pride as he was born in India. Another ‘person of Indian origin’, hmm! You can read a brief interview recorded while announcing the Prize at the office Nobel Prize site here. Its not the first time, actually it happened most of the times, that a person of Indian origin gets a Nobel prize but he no longer a citizen of India, if that tells us something. We take pride anyways, as it really mean something to most of us. INDIA : Inching up in Scientific Research ?? There are various reports that try to measure the capability of scientific research and innovation of a county by measuring number of articles and publications originating from that country. I don’t know whether that is an effective measure, but it appears, India is inching up slowly in this area. India has a long and distinguished history as a country of learning, knowledge and innovation. India is a huge part of and a vital source of influence on the future global economy. In the recent past, however, it has failed to realize its undoubted potential as a home for world-class research. There are signs that there is now a change in trajectory that will bring India up to the level where it can begin to realize its potential, to the benefit of its own population and economy as well as contributing to global knowledge networks. Despite of recent Moon Mission and some advances in developing indigenous missiles, common perception of India in the area of Scientific research is quite dim. We may have the largest young population and claim Indians are smart and innovative, but when was the last time any of us used anything that is a product of indigenous India? A nice tutorial of UI Design Fundamentals For Programmers by Ryan Singer of 37 Signals. UI Fundamentals for Programmers by Ryan Singer from ChicagoRuby on Vimeo. Does Long Tail In Music Make Any Money? Long tail made possible by internet is really good. Anybody can produce anything and reach its community however small that community can be. Any music album will find some audience. However, anybody in that long tail make any money? It appears, a large chunk of it don’t. A study last year conducted by members of PRS for Music, a nonprofit royalty collection agency, found that of the 13 million songs for sale online last year, 10 million never got a single buyer and 80 percent of all revenue came from about 52,000 songs. That’s less than one percent of the songs. Vonage started offering Unlimited Calls to India under its $24.99/m existing plan recently that include both landlines and cell phones. The 2 Months free offer is still available, if you haven’t signed up yet. Today, Vonage released a Mobile application that can be installed on Blackberry, iPhone or iPod touch that will allow you to make international calls right from your Mobile at Vonage rates. It uses WiFi if available. Otherwise it uses your normal voice minutes on your Mobile like you are making a local call even when you are make an international calls. Remember you will pay for Vonage International Calling Rates for each call you make, in addition to your cell phone minutes when you use cell phone network instead of WiFi. It is bad you can not use your existing Vonage account to this mobile application. Hope Vonage will soon allow that too. You need to setup a credit or debit card and pay per use. I guess, Vonage will soon allow to connect your existing account and share that number, may be at a small fee. Isn’t Cloud Computing Just Hardware-As-A-Service? Cloud Computing is the new web2.0, in terms of hype and buzz all around. I hate to invent yet another Buzzword. But isn’t Cloud Computing just a Hardware-As-A-Service (HaaS)? If you look at the definition on Wikipedia, that is what Cloud Computing is all about. Isn’t it? If you agree in principle that Cloud Computing = HaaS, then there is nothing really NEW about it. It must be as old as the concept of renting a server or the first internet Hosting company. And, all internet (as well as in house applications) that we know of did scale as needed. They are all in principle dynamically scalable. Didn’t they? Then why so much undue buzz about Cloud Computing? Is it because now there are more players in the hosting market? Amazon, Microsoft, Google, Rackspace … etc. Or is it because of the new Billing model of hosting services that charges based on actual usage rather than a fixed cost? So far it has suffered from draught. Now serious floods in Andhra Pradesh have affected 1.3M people and submerged many places. 400 villages are reported serious affected. Read more at NDTV.com. The above two pictures are from NDTV.com. Business Week ran a cover page story in the magazine this week on High Tech Sweat shops. This is a no brainer to most Software Techies; how the H1B program works, how Consulting outfits work and how they place H1B consultants in jobs that often involve at least 3 layers of sub-contracts. It won’t be an exaggeration to say there is no Placement firm in the US that has not dealt with these so called ‘sweat shop’s. Small (often under 50 employee) High Tech Consulting firms that predominantly hire ONLY H1B consultants. There is a well known criticism that these firms are unduly replacing American workers instead of complimenting the American work force. This year it is entirely different. Recession is one for sure. But also a variety of reasons. Some of these outfits are under investigation for a variety of fraud ranging from collecting fees for H1B sponsorship to ‘running the payroll’. Not sure how many of them and not sure the extent of fraud. But number of H1B petitions filed is any sign of their activity, then the activity has been completely subdued this year. The quota of H1B petitions for 2010 is still available and unfilled. Remember last year, the quota was over in a day or two and lottery has been put in place to handle the rush. Overall, it appears many of these small Consulting outfits are not doing well. Many of these firms opted out of sponsoring H1B petitions this year due to recession. Finance companies that accepted TARP money have been imposed with additional restrictions in hiring H1B based consultants. Investigations on I-9 compliance reportedly at almost all organizations. People who left for their countries had hard time getting their visas stamped and have to stay put longer (NPR has a story a while back). Many H1B petitions and renewals are in trouble as these firms have hard time producing end-client letters navigating through the web of layers. This grave situation is affecting good and bad firms alike. Hopefully, once the dust settles, good firms will survive and Consultants with real experience and skill sets to offer will have much better prospects. There used to be a huge crowd at Diwali Mela. What happened this year? Is it the weather or DFW Indian community lost interest in the mela itself. A couple of pictures outside the Cowboys Stadium where the main events are going on. And this last picture is inside the stadium. The big TV was not switched ON. And the field appears to have been completely removed for rework. We all thought the event would be inside the stadium, but it was organized outside. Its good that we got a chance to go inside and look around. Anyways, the stadium is awesome. Despite the drizzle every now and then, we had fun. Morpheus doesn’t bring cash, unlike the Venture Capital firm across the corner. They bring “sweat” capital (read as expertise and IP). The team at Morpheus even call itself as an Accelerator instead. So what do they want in return? Of course, equity in the startup. If you are a startup or just interested in Indian startup scene, listen to the RWW interview with one of Morpheus team members here. Vericar does used-car certification and appraisal, catering to the used-car market in India, which is at a million units every year. Robots Alive is the second company in India to have manufactured a robotics arm from the ground up. Quite a novel concept to make money from a startup without actually ditching a dime. And if you remove money out of the equation, there will be many experts that could try to help a startup grow, in return for a small equity. After all what Venture capital firms bring to startup along with Money is their expertise and network. Isn’t it? How to rely on somebody that doesn’t have a stake in the business? Google’s today logo feature Mahatma Gandhi to celebrate Gandhi’s Birthday on 2nd October. Its quite easy to start developing an ASP.NET Web application. Now, it got even better to jump start a Web application with Toolkits. Just download a toolkit, quickly load in Visual Studio and just run it. And then extend it to fit your needs. Web Application Toolkits are designed to enable Web Developers to simply extend their web application capabilities by providing them with a packaged set of running samples, templates and documentation. The goal for the Web Application Toolkits is to provide Web Developers with resources such as project templates, controls, and code samples along with simplified documentation all in a consistent packaged format that is easy to download and run in a very short period of time. Montek Singh Ahluwalia (Deputy Chairman, Indian Planning Commission) discusses plans for India's continued economic growth. The true objective for India, he believes, is “inclusive growth,” an equitable and constructive distribution of economic gains via market forces, government and public means. Indian IT Services Firms Were Right : It’s Services Stupid! There was so much pressure on Indian IT Services firms for a long time to enter product space and they refused and insisted that Services is the key. After all, their strength and innovation is in creating market driven and efficient service delivery models. They not only succeeded with flying colors in delivering services, they influenced the entire world to turn to services. So in more than one way, there were right on about services. HP buys EDS and says it is critical to enter Services business as profits drop in all other directions. Dell buys Perot Systems, seen as following HP. Xerox, the iconic innovator buys Affiliated Computer Services, citing exactly the same reason of survival due to dropping profits every where. Now, will Indian IT Services companies get the true credit they deserve in the market place? The story of Wipro looks like a fairy tale in many aspects. Think about a vegetable oil refining company (started in 1945) that re-invents itself as one of the world’s best IT services firm. It has been a long way and Wipro continue to amaze me in more than one aspect. Its integrity at first and its no drama, straight forward business acumen. (unlike other celebrities across the street that were never able to walk their talk). Though I left Wipro a while back, I continue to follow it. Here are some new developments that kind of surprised me a bit. If you look at the new Wipro.com website, one may mistake Wipro for a brand new startup that is trying to define its identity. Though the company is little older than the Independent India itself, in a way, Wipro appears to be doing the same. Home page with a full blown illustration that projects Wipro as the agent that changes the new world order. While I reserve my instincts on how much Wipro will really listen to its customers on their engagements, they are clearly doing so in picking up a theme or an identity for themselves. The website features a poll, asking its users to vote on a Theme. Of the other two available themes, I love the co-evolution theme as it aligns quite well with the identity of Wipro. While Wipro failed to leverage Blogs, I see that there is some focus on social networks as well to help build a brand. Wipro also recently opened a Development center in Atlanta that promises to hire local talent and engage with local academic community like Georgia Tech to bring innovation right in the Americas. Not sure the extent of collaboration educational institutions in India. Hope this brand new look is deeper than the front page and hopefully Wiproites will be proud again to be Wiproites. Though, there are quite a few issues, some of them associated with Growing So Big So Fast, Wipro is way better than its counter parts like Infosys and TCS in treating its employees. Hope and Wish Wipro does well. No matter what, I was once a Wiproite and working at Wipro was one of the best things happened in my life. And who knows, our paths may meet again. Google Chrome’s Telugu rendering was awful when it was first released and until a few days ago. The latest version of Google Chrome now renders Telugu fonts quite better (still inferior in crispness to Apple Safari). Vonage started offering Unlimited Calls to India under its $24.99/m existing plan. It includes both landlines and cell phones. If you are already a Vonage subscriber, make sure you have Vonage World plan to get this great deal. Get TWO MONTHS FREE if you signup by clicking on the image below. If you pay whole one year upfront, you may get an additional 20% off. Click here to get the TWO MONTHS FREE offer. 4GB of RAM on Apple Mac Pro Book Could Cost $1000? I thought Memory prices have gone down significantly in the recent years and adding up a 4GB RAM should cost you below $200. But on Apple Mac Book pro, adding a 4GB RAM costs an additional $1000. Is it just because of Apple? or prices are really that dear? We are almost in the middle of September, yet H1B cap for year 2010 is still at 45000. That means, companies can still file for H1B petitions, if needed. I mentioned (before the season started) that I would be surprised if the Quota limits are reached at all, while some are discussing the chances for a lottery again. This reflects the job market more or less and restrictions imposed on certain firms in hiring H1Bs. Front page of ‘The Times of India’ Bombay on the day India became free, the 15th August 1947. "One surprise I discovered during the process was that IE8 includes a Cross Site Scripting filter which effectively blocked this attack. I'm very impressed with the effort that Microsoft's taken to mitigate one of the most common web application security issues. Every other browser vendor needs to add this functionality yesterday." Today’s discussion was on one of the most abstract concepts, ethics. It is rather difficult to take sides, as whatever you say could be right and wrong at the same time, as there is no clear definition as such that defines an ethical behavior and lots of space for subjective interpretation. Most seem to think it is unethical to squeeze 90% profits and it would be ethical if company reduce its profits to some lesser value. My understanding is that, it is ethical to keep whatever profit you want in your business. But it could be much more humanitarian to give away some of those profits to help people who can’t afford to buy those valves and save more lives (or reduce price so that more people can afford it). What is unethical in my understanding is, say a company know that the product it is making could harm human lives seriously and probably kill, and company still wanted to make that product and earn profits. Company is fully aware of all consequences and yet resolve to make profits. Take the entire Tobacco industry for instance. Recent statement from Barack Obama puts the number of people DIE due to tobacco PER YEAR, ALONE in USA at a staggering 400,000. Is it ethical to manufacture and distribute those tobacco products? Why Government sell these ‘licenses to kill’ to tobacco industry? Is it ethical? if not totally illegal? But that whole discussion led me to think twice what I thought was ethical or unethical. If selling a poisonous product (say tobacco) that could kill people and make profits is unethical, isn’t it unethical if you have a cure for a disease that could save a life from death and you are not distributing that cure to all those in need just so in order to make a larger profit for some? It is imperative in both cases, that if you don’t have a profit motive, you could save more lives. Then can one instance be ethical while the other is not? For instance, if you hit a car on the road and don’t stop. You will be arrested and prosecuted. And if you see a car hit and don’t stop to help, you could still be arrested (though less severe than the first one) for not helping. Then how do we let Tobacco kill 400,000 people every year? About Lunch Bites : For some time, some of my friends have been getting together for lunch every day. And we discuss a wide variety of topics everyday. Some make us all laugh at ourselves. Some just on current affairs. Some are really heated discussions. And there are some that leave the rest of the day thinking. Would like to share a few thoughts on the blog, as topics are getting more and more engaging as days pass by. It always intrigues me that traditionally in India (and in fact most of the world) we try to remember and talk only about the better half of a person once the person is gone, while we always spend talking about the other half when the person is in front of us. And often talk behind a person. Why can’t we treat a person as the person really is, no matter in front of that person or behind or once passed away. Can a really bad person becomes a lot better person just by death? I believe, you show your true respects by treating a person by the true nature always, as you perceive. Its lot more important to express those feelings when the person is in front of us. Good or bad, is relative and fleeting. Anyways, the EENADU news paper that has always (most times) criticized quite vehemently has an eulogy that is worth noting. Here it is.